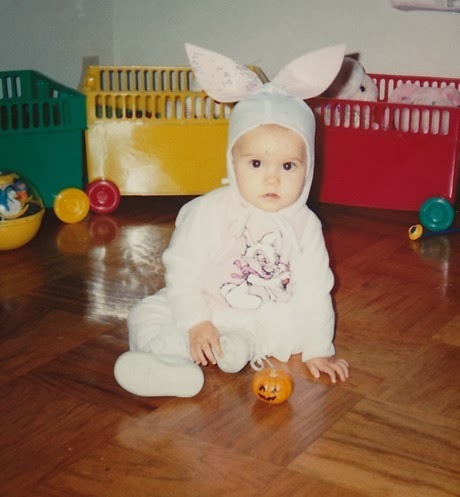 This was Heather's first Halloween (1991) and she was 11 months old. as you can see by the multiple bunnies in the red wagon behind her! She was excited over the bunny costume in the store, but hated wearing the hat! I wonder who ate all her Halloween candy that year?! ?